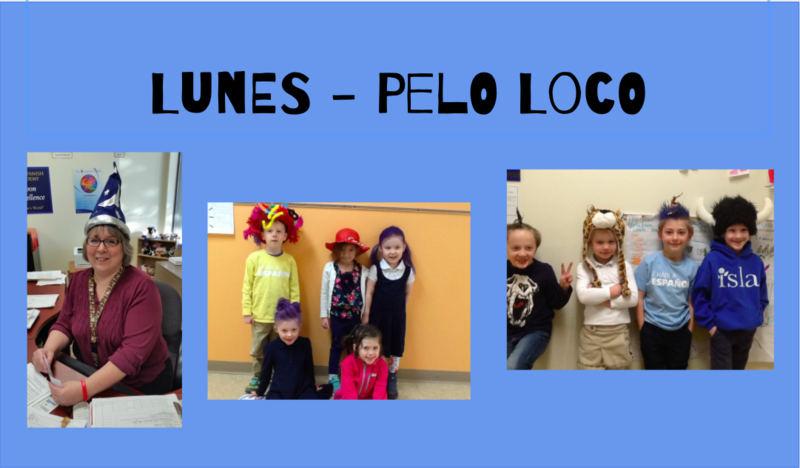 Monday: Gorro/Pelo Loco: Wear your wackiest or favorite hat/hairdo. 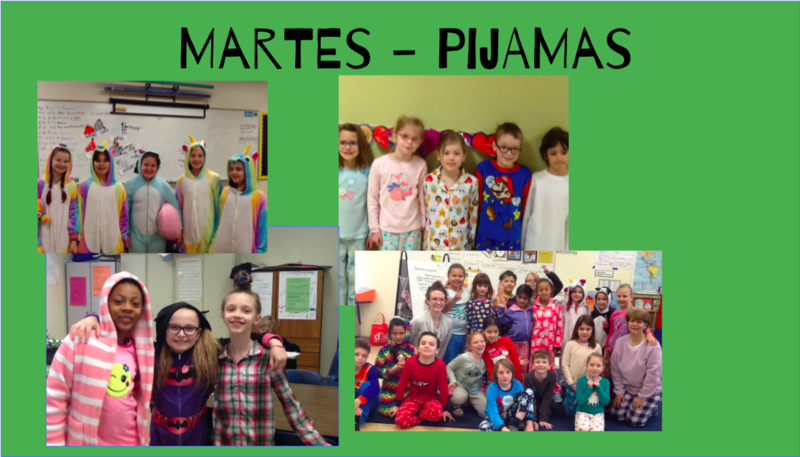 Tuesday: Día de Pijama: Students wear their favorite pajamas or onesies to school. 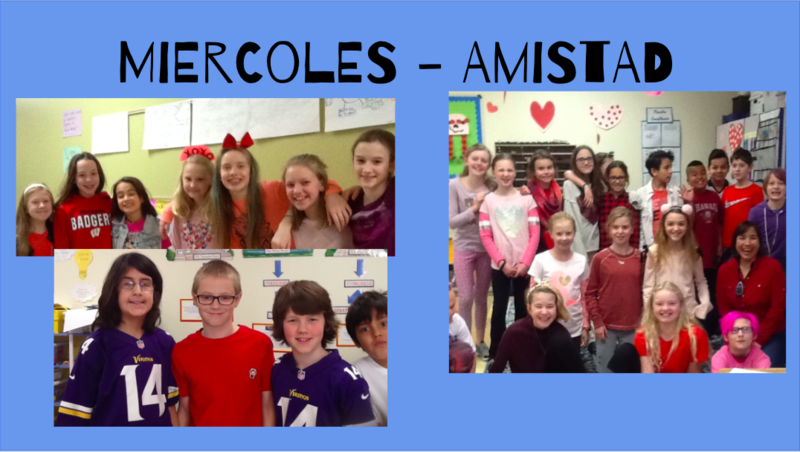 Wednesday: Día de Amistad: Students are encouraged to wear red/pink/white/purple for classroom friendship fiestas. 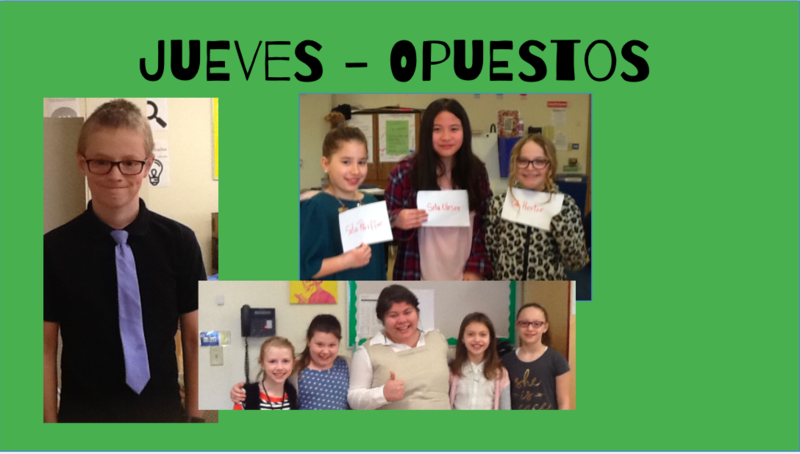 Thursday: Día de Opuestos: Teachers wear ISLA uniform and students dress like a teacher - or show opposites in another way. 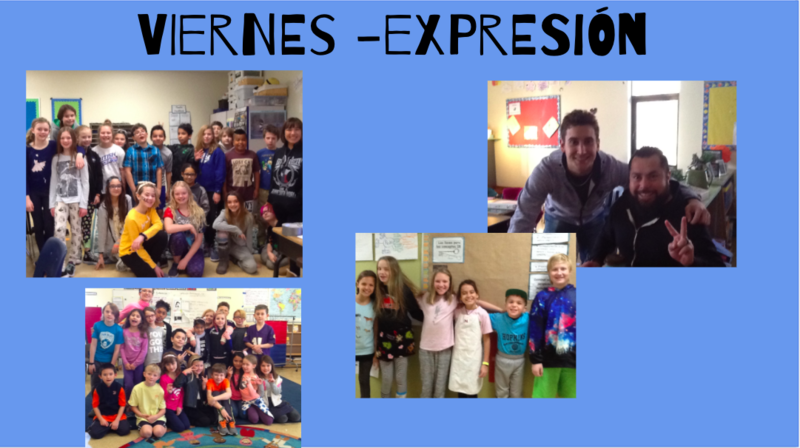 Friday: Día de Expresión: Show your true colors and express yourself! 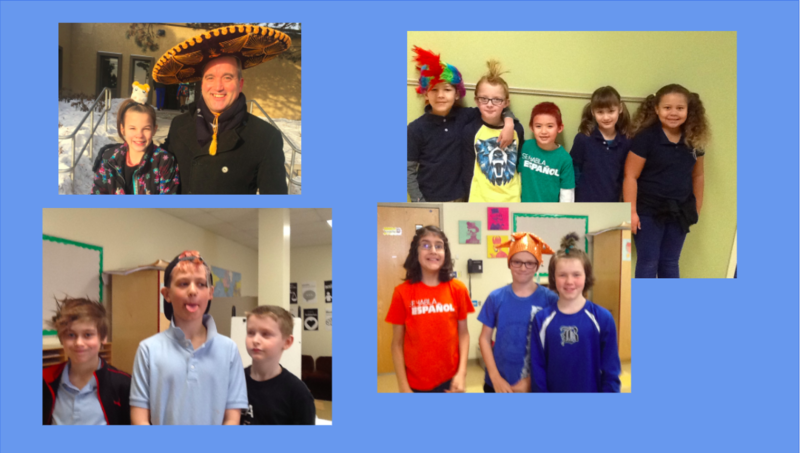 Dress in a way that celebrates who you are. 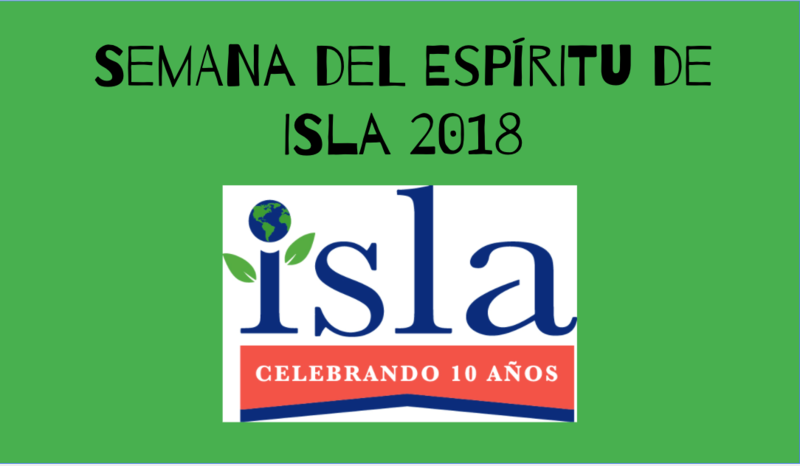 Finally, at the conclusion of the assembly, our Music and P.E teachers closed Spirit Week by singing the ISLA song!